The Chickasha Public Library 527 W Iowa, will be hosting an Outlander book discussion at 12:00 pm on September 16th. The discussion will be lead by Darlene Troup. 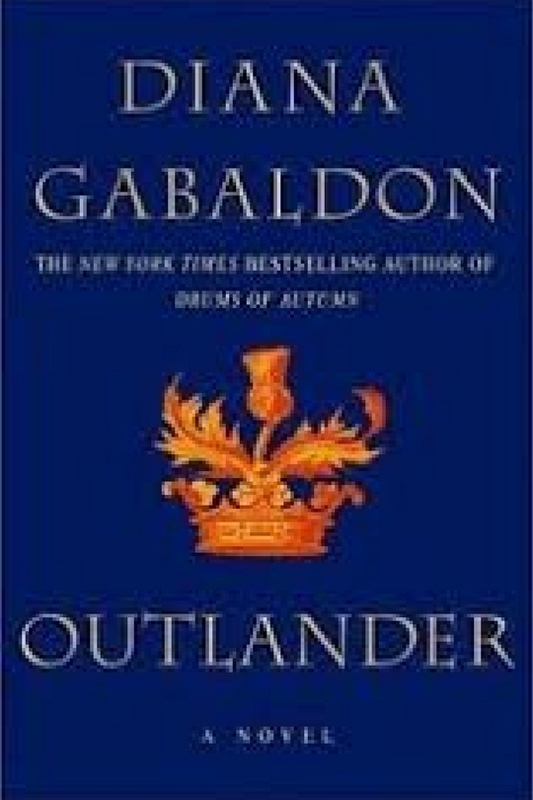 The Outlander series is available at the Library and on the Oklahoma Virtual Library. You do not have to read the book to attend just bring your lunch and enjoy a great discussion. Free Summer Reading Program for Teens! A parent/caregiver can come to the Library at 527 W Iowa any time between 9:30 am and 6:00 pm that day to sign up children ages 6 – 12 and 12 – 16 for the free programs. The kids can come too because there will be games for kids to enjoy while adults gather information about how the program works and extra special events. This theme celebrates physical fitness and ties in to the Olympics. 2:00 pm – 3:00 pm for ages 12 – 16. If a child is 12 he/she and their parent can choose which program they want to participate in. Attendance is not required just come whenever possible. Here’s how the Program works – the teens or children read, read, read, and keep track of the minutes spent reading. Then turn in the time on Thursdays to earn prizes. Minutes accumulate and prizes get better. Each teen will need to keep track of their minutes by writing them down, minutes start counting on May 27th. The teen will need to bring those time sheets with them to the programs they attend. The Summer Reading Program is free and is made possible in part by the Institute of Museum and Library Services, “The Institute of Museum and Library Services is the primary source of federal support for the nation’s 123,000 libraries and 35,000 museums. Our mission is to inspire libraries and museums to advance innovation, lifelong learning, and cultural and civic engagement. Our grant making, policy development, and research help libraries and museums deliver valuable services that make it possible for communities and individuals to thrive. To learn more, visit www.imls.gov and follow IMLS on Facebook (link is external) and Twitter (link is external).” Funding was also provided by the Oklahoma Department of Libraries, The Friends of the Chickasha Public Library, and the Chickasha Public Library. Free Summer Reading Program for Children! If a child is 6 the parent can choose whether the child should participate in this program or Storytime which is on Wednesdays at 11:00 am. Here’s how the Program works – the children read, read, read keeping track of the minutes spent reading. Then turn in the time on Thursdays to earn prizes. Times accumulate and prizes get better. Each child will be given a reading log and stickers to help them keep track. Minutes start counting on May 27th, if sign up day was missed or a reading log goes missing parents/Caregivers can keep track of minutes spent reading by writing them down and the minutes will be counted. The child will need to bring those time sheets with them to the programs they attend. The Chickasha Public Library will be hosting a Youth Sewing Event Thursday April 28th from 4:00 pm – 6:00 pm for ages 7 -11 and from 6:00 pm – 8:00 pm for ages 12 – 16. This is a free event all supplies will be provided. If you have any questions and to RSVP pleas call the Library at 405-222-6075. Book Sandwiched In date and time has changed, for the month of April the event will be held on Thursday April 14th at 5:00 pm. Stuart Meltzer will be the discussion leader and the topic for this month is Hedda Gabler. Meet and greet will be from 5:00 pm to 5:20 pm followed by the discussion. If you have any questions please call the Library at 405-222-6075. Join the Chickasha Public Library 527 W Iowa for our New Children’s Area Celebration on April 7th from 5:00 to 7:00. This is a come and go event, so please make plans to come see all of the amazing changes and bring a friend! If you have any questions please call the Library at 405-222-6075. Books Sandwiched In is a monthly book discussion held every 3rd Thursday at noon from September through May in the Library’s Meeting Room. Please bring your own lunch and join us. If you have any questions please call the Library 222-6075.